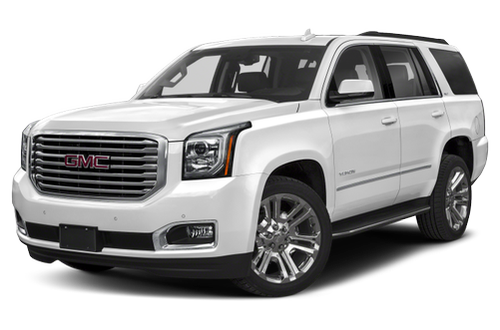 Have You Driven the 2019 GMC Yukon? i JUST TURNED IN MY 2016 FOR A 2019: LOVED THE FORMER AND ALREADY LOVE THE NEW ONE. CAR IS FAST, SUPER RIDE, COMFORT PLUS IN ALL AREAS, HUGE STORAGE FOR STUFF AND PASSENGERS, GREAT GAS MILEAGE (i GET 26-27 MPG AT 50MPH AND 23-25 MPG AT 72MPG). ELECTRONIS ARE SUPERB TOWING IS FAB TOO. CONFORT INSIDE, HANDLING...ITS GOT IT ALL. TRY ONE. We love our car, the color, the toys and the comfort, and the room. The side running boards slide up when you open the door, for comfort of getting into the car. Love it. I love my Denali Yukon! I love driving my Yukon with all the safety features, plus, it is very comfortable, spacious, and all the extras are awesome!! The seats are very easy to manipulate & great for shopping & carrying things when we travel. I haven’t had a chance to haul my boat to Lake Erie but certainly will when the weather breaks! There is plenty of head/leg room to accommodate my 6'7" son. Seats are real comfortable and the engine has a lot of "pep". The ride is smooth and the cabin is quite from outside noise.